Debate has raged about whether Mormonism is Christian or not. Mormons--who are baffled by the debate--claim that they are Christians, appealing to the fact that they believe in "Jesus", while traditional Christians--long accustomed to dealing with heretical counterfeits--hold that Mormons are not Christian, despite their oft-repeated appeal. The reader is encouraged to reflect upon 2 Corinthians 11:3-4, Matthew 24:24, and the entire book of Galatians. In light of what Biblical Christianity is all about, it is plain to me (and to anyone else who wishes to look) that Mormonism is not Christian at all. However, I would like draw attention to something even more interesting: not only is Mormonism not Christian, it is in fact the opposite of Christianity. Let no one here object by appealing to the superficial similarity of terminology used between Mormons and Christians. Such agreement is only surface deep; underneath is a world of difference. In reality, Mormonism and Christianity are theological opposites. Christianity is all about the story of the one and only God, who created all things visible and invisible for the glory of His Name. Consequently human beings are His creatures who exist--like all of God's creatures--to praise and glorify the Creator. Christianity is all about how human beings traitorously sinned against God, incurring the wages of sin: death. Christianity is all about how God gloriously redeemed His helpless and ill-deserving enemies through His amazing grace; how He came to earth, He died for our sins, He was buried, and He rose again on the third day in order to provide salvation for everyone who will simply believe in Him. Christianity is all about how the redeemed will spend eternity celebrating the beauty and victory of God, for the great things He has done, to whom alone belongs all the glory for ever and ever. The beginning, middle and end of Christianity is the one true God. Christianity is all about the abasement of humanity and the glorification of God. In stark opposition to this, Mormonism is the story of everybody; in fact, it is precisely the idea that God is not at all unique. Our particular God is one of us, and is one of many. Mormonism is all about realizing your human--or I should say divine--potential. It is about recognizing that you are not all that helpless or wicked, and that with the help of God you can personally overcome sin and achieve perfection. Jesus, our literal brother, came to earth to bring about a set of conditions through which we can--if we work hard enough--work our way into a new and exalted state of being. Mormonism is all about self-reliance, self-effort, and personal glory. The goal of Mormonism is to be a God yourself, just like our particular God and the many others who have succeeded before us. 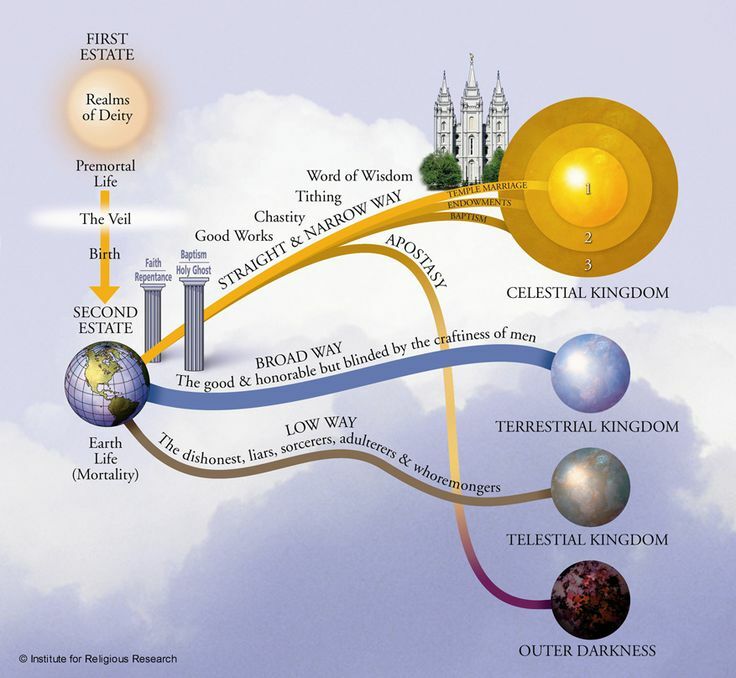 Consequently the center of Mormonism is not the one and only God (for there is no such God), but oneself. The God of this earth exists for you and not you for him. Thus Christianity and Mormonism are opposites. To Christians, Mormonism is blasphemous. To Mormons, Christianity is boring. Yet it is Christianity, not Mormonism, that is Biblical. As Anglican theologian Harry Blamires put it: "God is not the bolsterer of our human wisdom, the buttress of our self-sufficiency. He is the despoiler of our human self-reliance. His Name does not head the list of contributors to the fund for extending our empire of mastery; rather his Signature seals the death-warrant of our egotism."